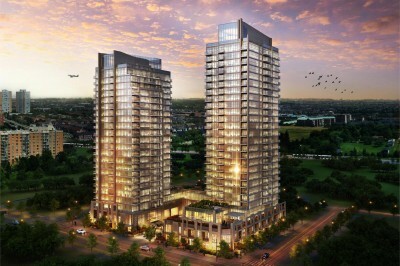 The M2 Condos will be located in the heart of downtown Mississauga at 3883 Quartz Rd. 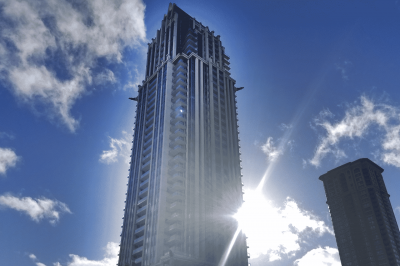 This 62 storey condominium will bring unique architectural styling and the modern advantage of Rogers Technology. 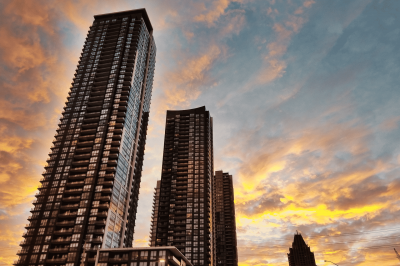 With contemporary residents in mind, the M City Condos combine a prime location, building oversight by Urban Capital and the excitement of having a new, modern community in the downtown core of Mississauga at 3883 Quartz Road. 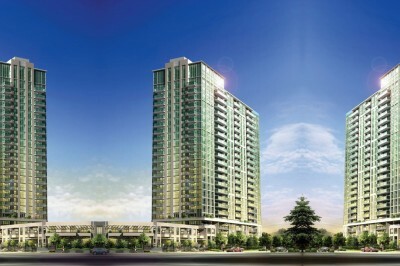 The Daniels Wesley Tower Condo will be situated in the heart of Square One at 360 City Centre Dr Mississauga. This 40 storey condominium will bring style and quality construction that Daniels is known for. With modern residents in mind, the Daniels City Centre Condo combines a prime location, the vibrant culture of the city and unique architectural design cues to bring a remarkable residential masterpiece to downtown Mississauga. The Avia Condos are the latest in the modern Parkside Village development. The Avia Condos will offer a central location in a true urban core. With a mix of commercial units on the ground floors and functional residential condos above, the Avia Condos bring lifestyle and urban sophistication to Downtown Mississauga. 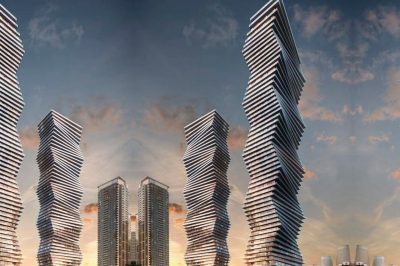 The Mississauga Square Residences Condos will be located at 8 Nahani Way Mississauga right at the intersection of Hurontario St and Nahani Way. This striking new condominium is being developed by Plaza Corp who have built many successful projects in downtown Toronto with this tower being their first at Square One. 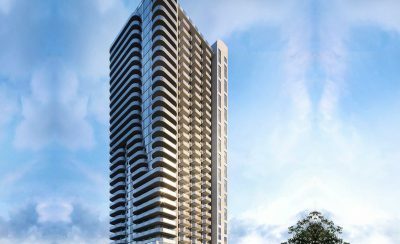 The Mirage Condo located at 339 Rathburn Rd W Mississauga brings a sleek and contemporary living option to this growing community. 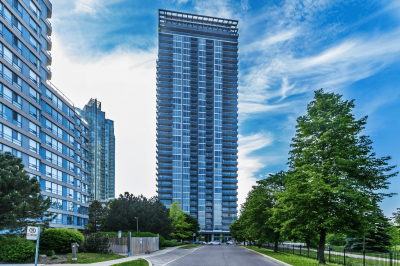 Situated close to the centre of downtown Mississauga, 339 Rathburn Rd West gives residents and amazing selection of amenities, stylish finishes and easy accessibility to transportation. 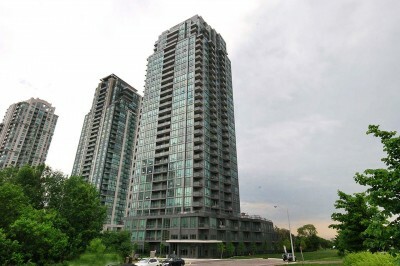 With views of Square One and floorplans that exude functionality, the Mirage Condo is an asset to downtown Mississauga condos. 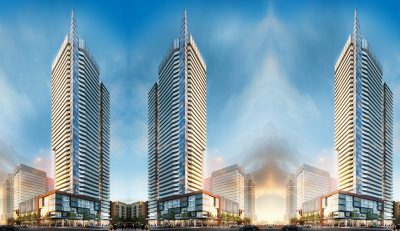 The Perla Towers Mississauga are the latest release from Pinnacle International in the Pinnacle Uptown development. 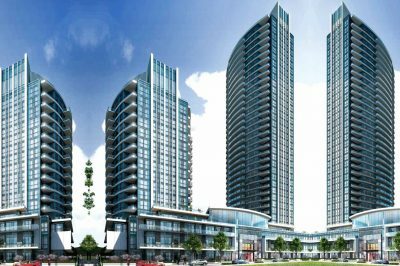 Located at 5044 Hurontario St along Watergarden Dr Mississauga, the Perla Condos will bring fresh contemporary style following the success of the Crystal Condos and Amber Condos. The PSV 1 condo at 4011 Brickstone Mews Mississauga is a contemporary, stylish and sleek Square One condo that is part of the massive Parkside Village development. Combining a Toronto inspired atmosphere with modern amenities, the PSV 1 condo brings a unique living option to downtown Mississauga. The PSV condo stands for Posh, Style, Vibe and delivers this with a clear cut, chic style and towering height that provides suites with spectacular views. The Amber Condos by Pinnacle International offer contemporary and chic living just north of the central Square One condos market area. Located at 5025 Four Springs Ave and 5033 Four Springs Ave, the two towers provide stunning suites, sleek finishes and amazing views. 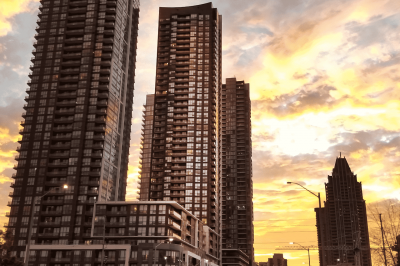 This combined with schools, shopping and transportation just minutes away makes the Amber Condos one of the most desirable Mississauga condos north of the main downtown core. 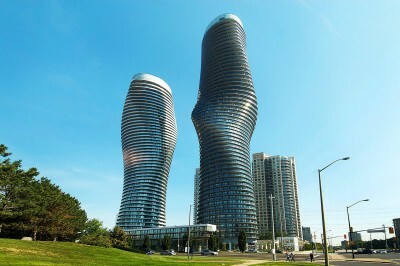 The Residences condo are a part of the large Parkside Village development in Mississauga. A truly modern, sophisticated lifestyle. Return home to an urban yet warm interior. The Residences condo was designed by Chapman Design Group, every inch exceeds your expectation with beautiful features and striking finishes. Your home at the Residences condo is a place to welcome friends and enjoy being with family. 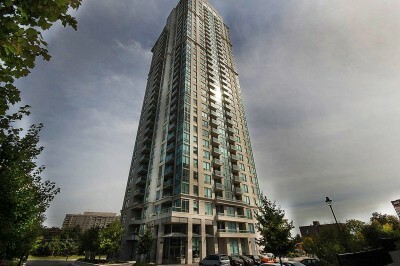 The Residences condo balances form and functionality while creating truly liveable Square One condos. 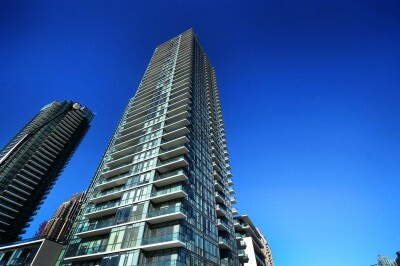 Modern, grand, luxurious living in the heart of downtown Mississauga at the One Park Tower condo. This spectacular example of architectural accomplishment adds a symbol to distinguish the city’s skyline. Living at the One Park Tower condo is an occasion. The grand lobby, full set of amenities and unbeatable Square One location all add up to the ultimate package. Steps from Square One Shopping Centre, schools, entertainment and finished with a modern, Gothic inspired style, the One Park Tower condominium truly stands out. 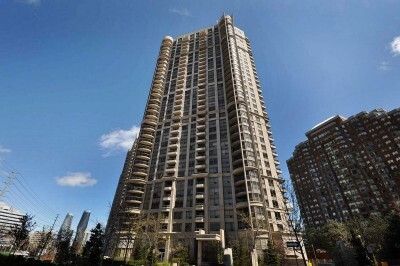 The luxurious, downtown Mississauga Grand Ovation condo building offers spectacular living. Built by Tridel it is located right across from Celebration Square putting you steps away from everything the city has to offer. The Grand Ovation condo suites feature various décor and layout options and are all seamlessly integrated into the grand design of the building itself. The Grand Ovation condo lobby features a warm, modern and luxurious atmosphere, instantly entrancing residents and guests. A grand ovation is needed once you experience this condominium. The Eve condo was the second phase completed by Amacon in the three part “Eden Park” project. 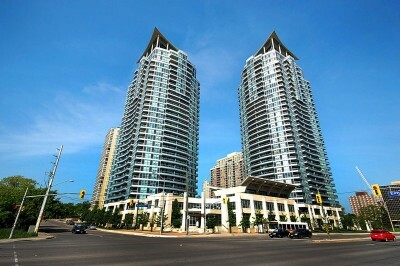 The Eve condo offers a modern living style with spectacular views and a central core Mississauga location. The Eve condo amenities will fulfil any relaxation desire and all this combined in a sleek and contemporary architecture palette within proximity to Square One. The Elle condo offers modern living at its finest. 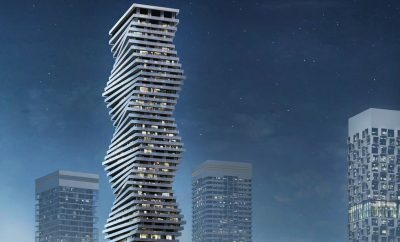 The final tower in this Amacon project, the building is located steps from the heart of downtown Square One Mississauga. Close to every amenity you can imagine and finished in a beautiful glass exterior. 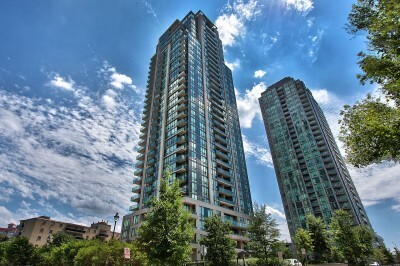 The Elle condo building offers fantastic South exposure views and a phenomenal living experience. 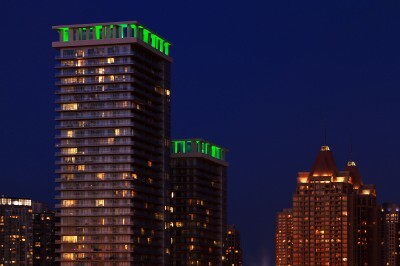 The Eden Park condo was Amacon’s first Mississauga development. The Eden Park condo features a contemporary design palette utilizing glass, steel and concrete to harmonize a clean modernistic approach. Located steps from the downtown Square One core, the views available from suites are unparalleled. A central Mississauga location offers all the shopping and entertainment options and a full set of amenities located within the Eden Park condo. The City One Condos are comprised of two glass and steel towers rising thirty one stories above the intersection of Elm Dr and Hurontario St near Square One. The City One Condos were constructed by Daniels and completely changed the landscape when first built. Offering balconies, amazing amenities and a modern atmosphere at affordable prices. Prime location within downtown Mississauga, walking distance to Square One Mall and all the other entertainment and city spots.